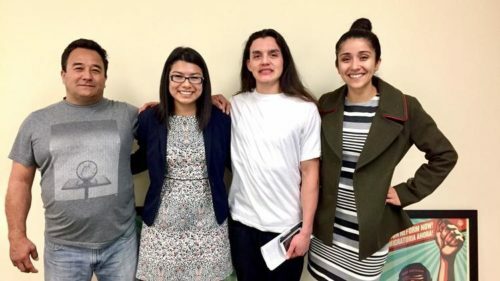 “Three immigrants held at Otay Mesa Detention Center who couldn’t afford the bond amount given to them by a judge are now out of detention thanks to a Berkeley student who was arrested by Border Patrol in late 2017. Luis Mora, an unauthorized immigrant who has been in the U.S. since middle school, paid $8,500 total for the three immigrants to walk free — $2,000 in one case, $1,500 in another and $5,000 in the third. A Mexican man named Juan, a Haitian woman named Virginie and a Honduran man named Franklin will now be able to reunite with family members while they wait to present their cases to stay in the U.S. to an immigration judge. ‘Each of them was in awe of such powerful generosity,’ said Monika Langarica, an attorney with the organization representing the three recently released immigrants. Immigration detention is civil detention, which means that officials can only hold people in custody if they think the immigrants won’t show up for court hearings or are dangerous to the community. To read the complete story by The San Diego Union-Tribune, click here.